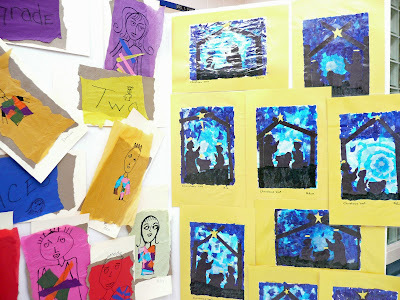 Here are some pictures of the art exhibition we had going on during Parent/Teacher interviews. Click on any photo to see larger. 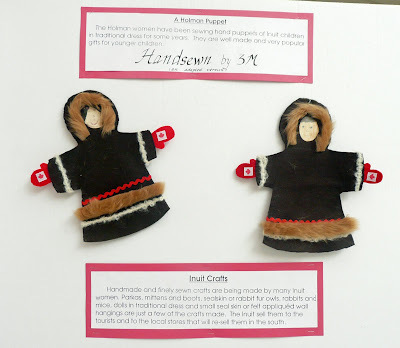 Here is the Grade 4 Paper Doll and mural taken from this Feb Post. Here is the Grade 1 display. 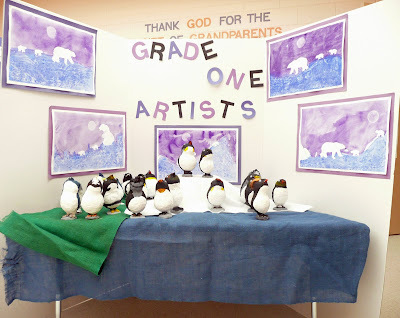 Paper mache Penguins and Polar Bear paintings. 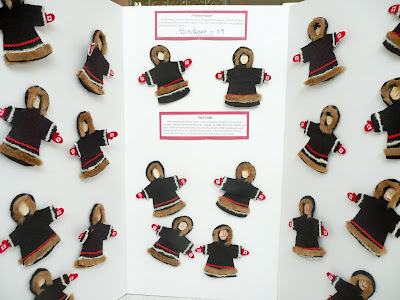 Grade 3 made these adorable puppets all hand sewn with Canada flags on their "Olympic" mittens! 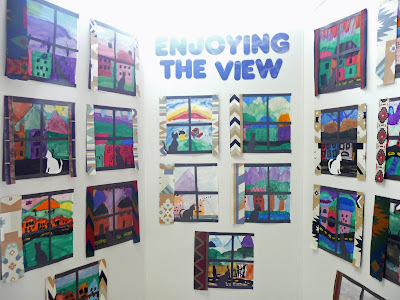 Some window paintings by Grade 3. Great work everyone. There was lots more that I didn't get pictures of. Wow, You have some very talented students there. Thanks for sharing. What a great exhibit! You do such wonderful work with your students Gail! Thanks for sharing everything. You are just so awesome! Thank you for blogging! Wonderful! What are you using as your display panels? The students in your classes are so blessed to have you as their teacher. All of your projects are really lovely. 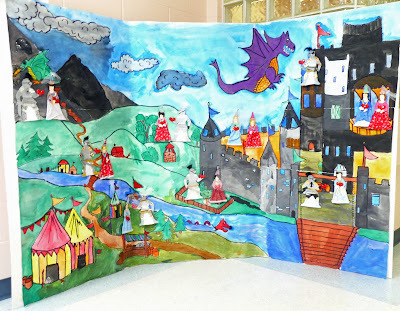 How proud the children must be to point to such amazing and beautiful projects and say "I made that!". I wish my child had you for a teacher. Thanks everyone. The kids were very proud of their work and rightly so. Lolo: We used white cardboard tri folds.